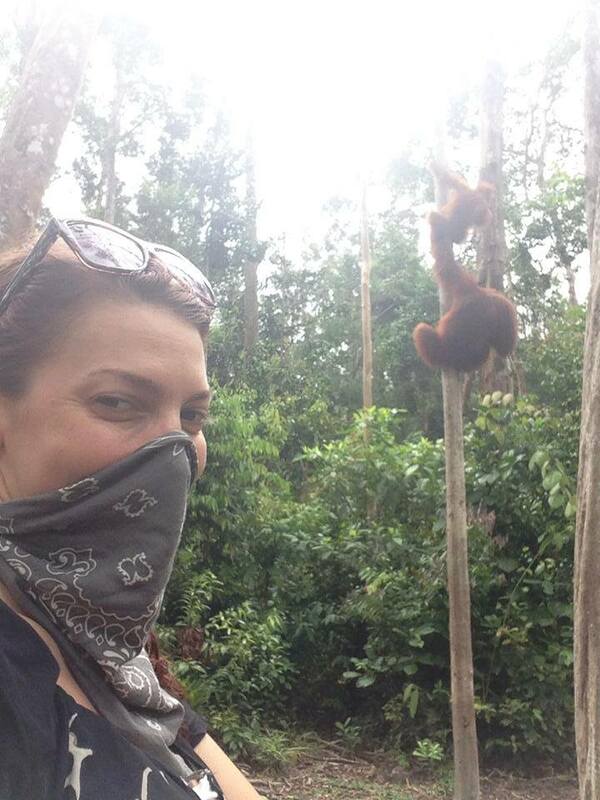 I went on this adventure with a friend who shares my love for the orangutans. 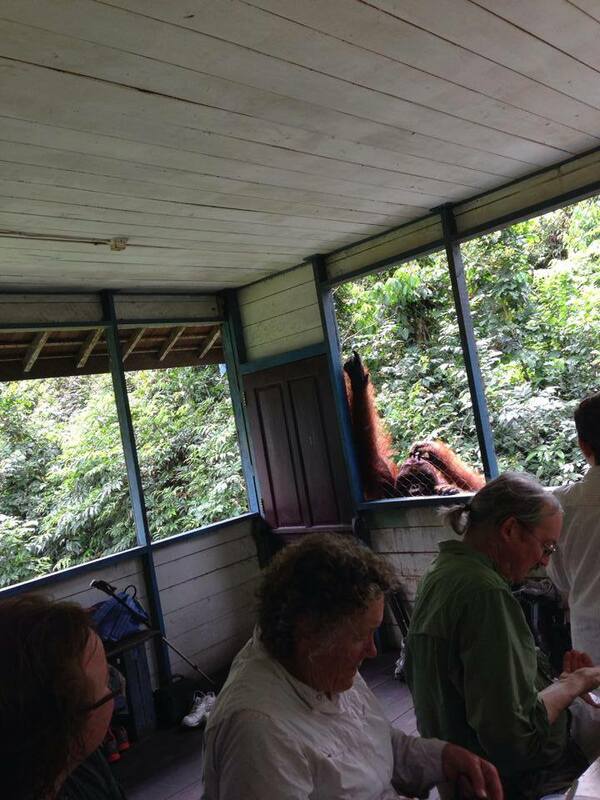 I have always been intrigued by my similarities with orangutans and longed to have a closer encounter. In Malay, orangutan means "person of the forest." We wanted to meet our red-haired friends in their home while it is still possible. Unfortunately, the outlook for the orangutans is dire. Because of the epic and careless destruction caused by the palm oil industry, the forest in which the orangutans used to roam free is gone, and the preserved areas are constantly under threat. Under the guidance of Dr. Birutē Galdikas herself, we visited hundreds of orphaned babies and juveniles who have no forest to be released into. There were many somber moments on this trip, and also some that brought me great joy. In one such moment, I put my climbing skills to the test as I went a story or so into the trees to spend time with rambunctious juveniles. They wanted to test me; they playfully shoved, they tugged on my clothes, they decided I make a good climbing apparatus. 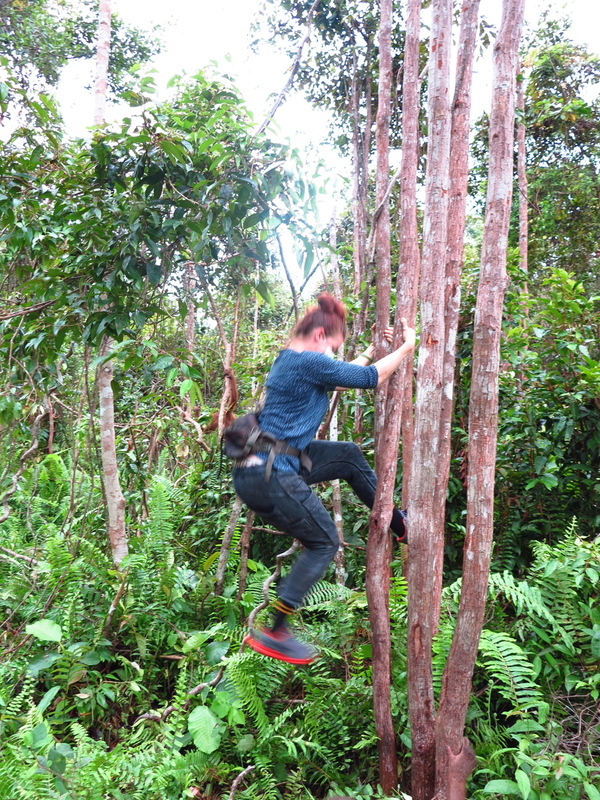 Dr. Galdikas said she has never seen anyone other than the local climbers fly up the tree with such ease. I came away leech free and only had one close scorpion encounter. I also now know to never try eating in an Indonesian airport. I fulfilled a bucket list dream and remain dedicated to raising awareness about destructive industries.